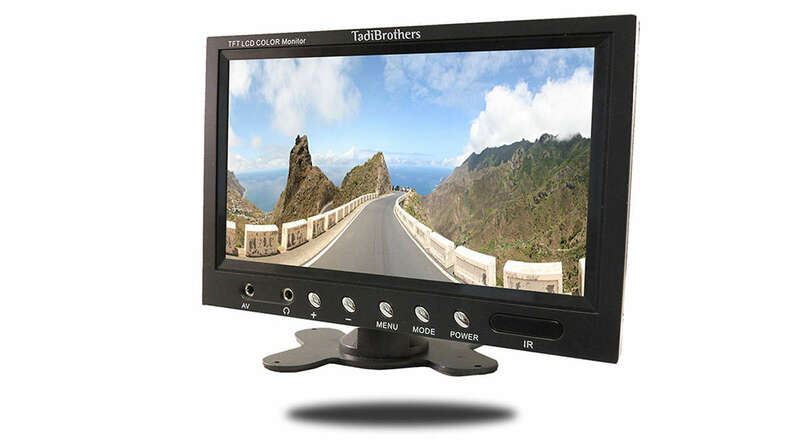 Our monitors come in a number of different styles, sizes, options and multiple camera inputs. 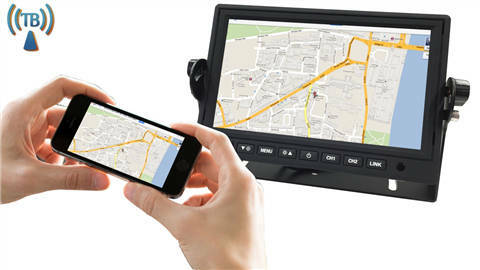 3.5”, 3.6” pop-up, 4.3”, and 5” – Single input only. 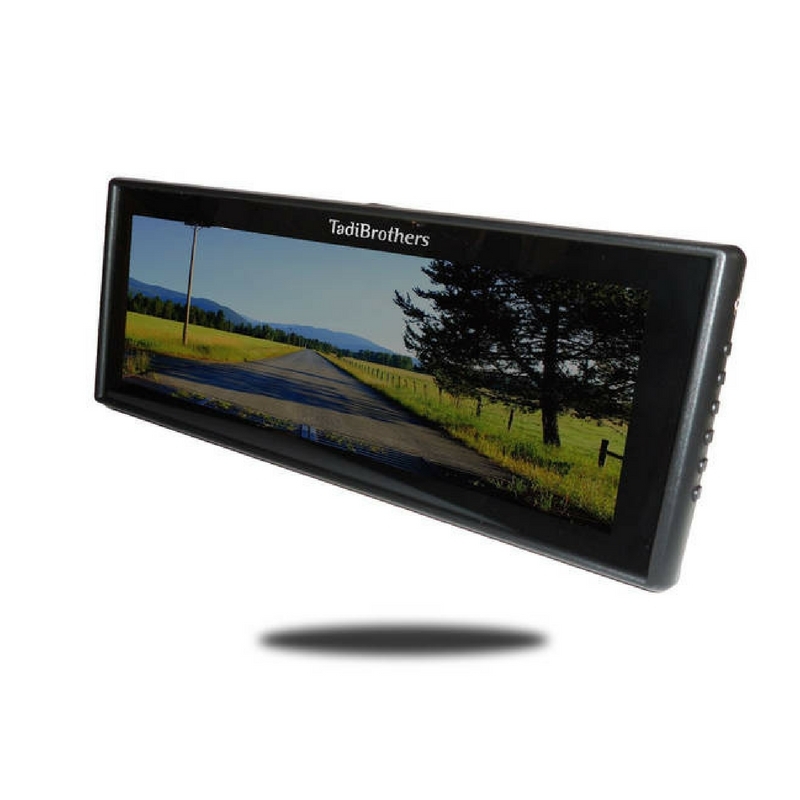 7”, 9”, 10.5”, and 12” – Dual inputs, can alternate video display. 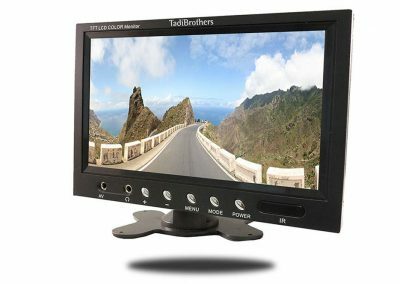 We now carry both a 7” quad monitor with WiFi capability, plus software and accessories for using your smartphone or tablet as your monitor. 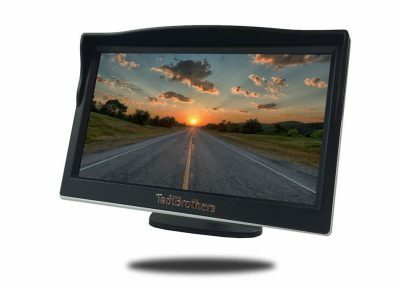 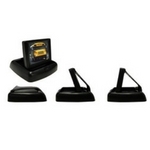 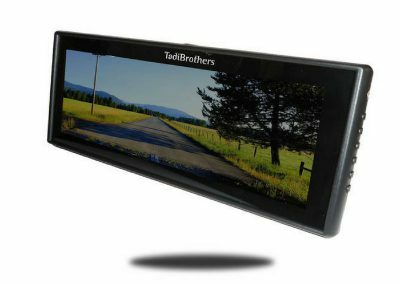 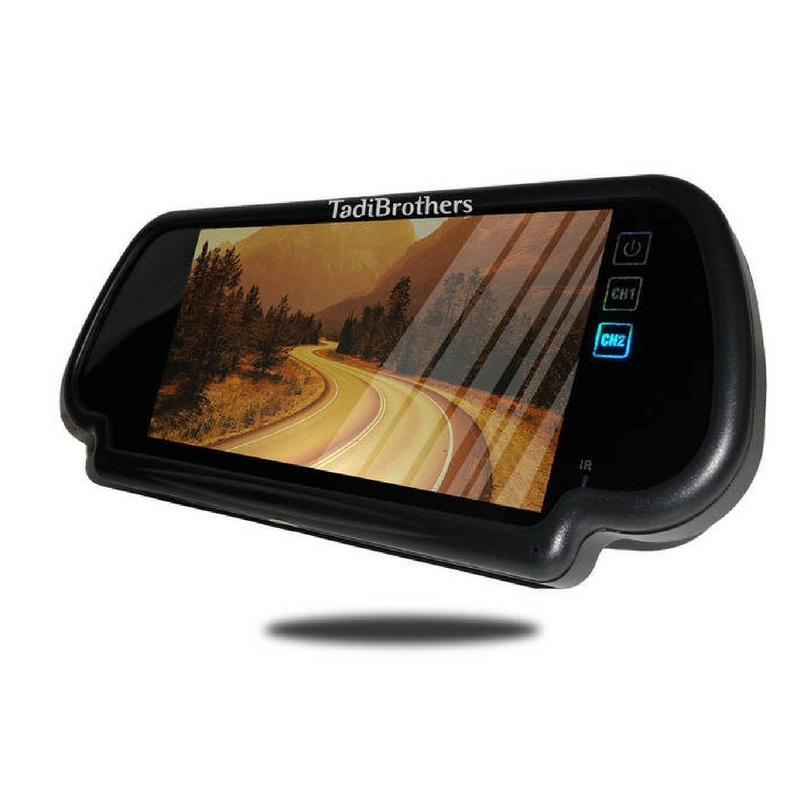 Our line of mirror monitors are great solutions when mounting a monitor on the dash or windshield is not practical. 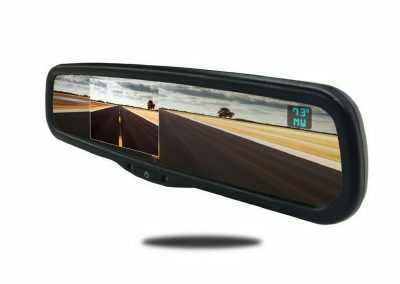 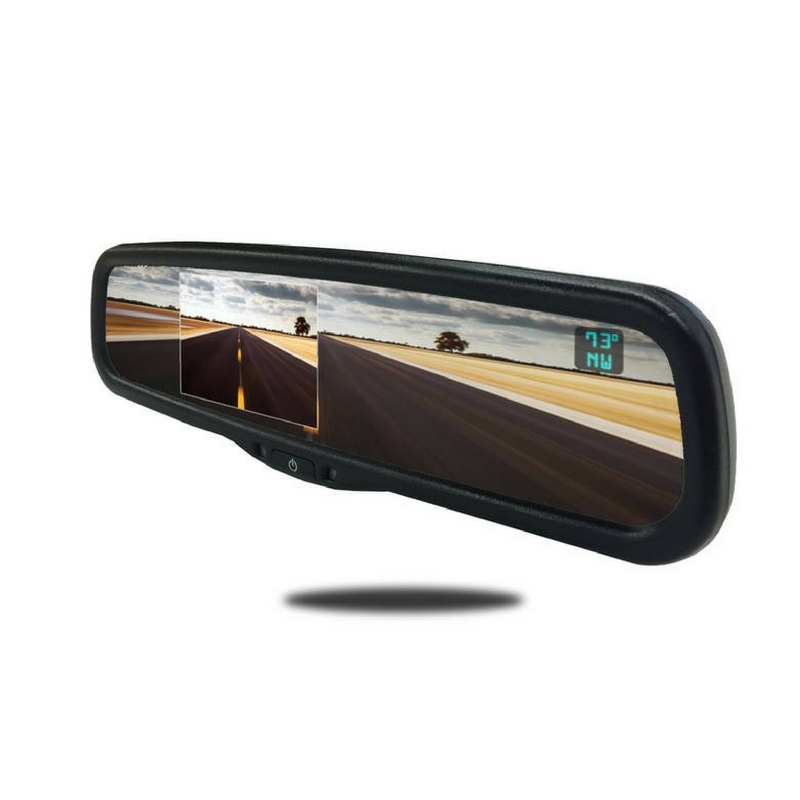 These come in two basic styles: Clip-on, which attaches on to the current mirror, and full replacement, which includes the hardware necessary to completely replace your current rear view mirror. 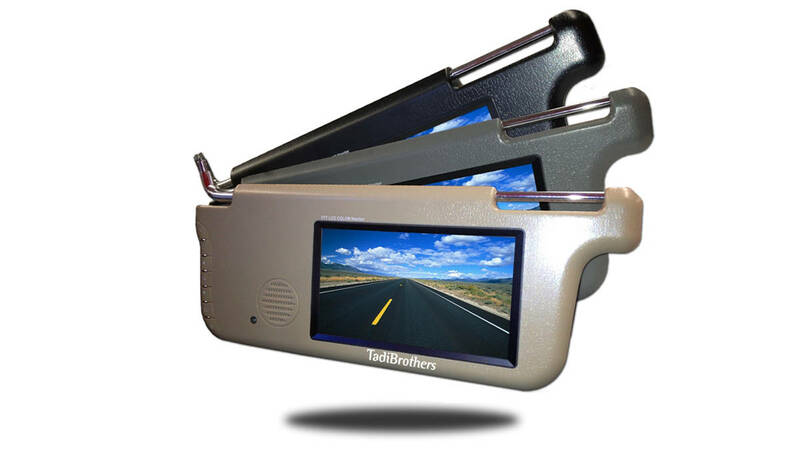 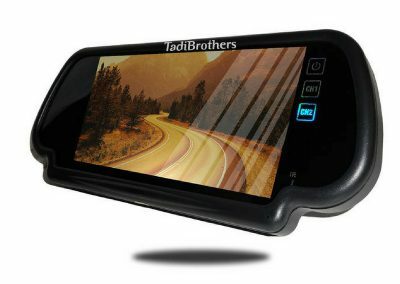 If you are looking for an inconspicuous place for your backup camera monitor, consider our line of full replacement visors. 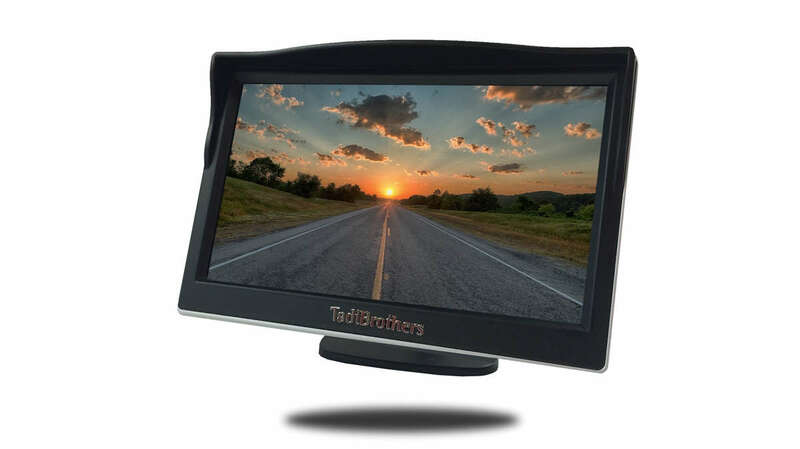 We carry them in black, gray, or beige, and have both driver and passenger side versions. 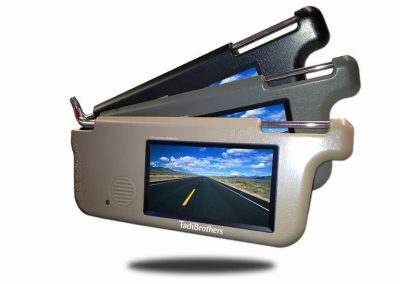 These completely replace your existing sun visor with an integrated full-color screen that easily flips away when not in use.